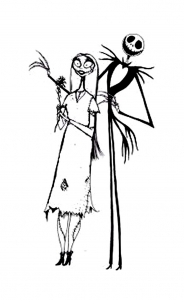 Tim Burton magic with just a touch of scariness ... it describes perfectly this incredible 1993 movie. 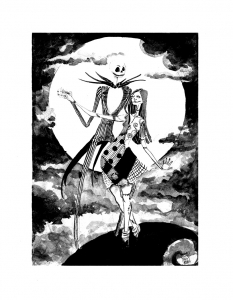 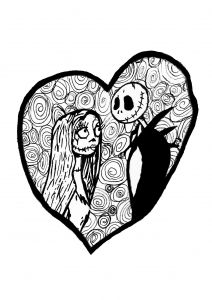 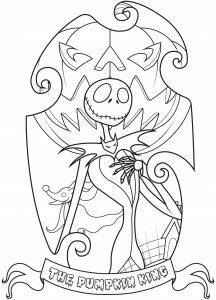 Discover coloring pages inspired by The Nightmare Before Christmas with Jack Skellington, Halloweentown's beloved pumpkin king, and Sally, a rag doll woman who is created by the town's mad scientist. 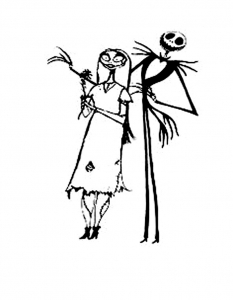 With successful home video sales, Nightmare achieved the ranks of a cult film ! 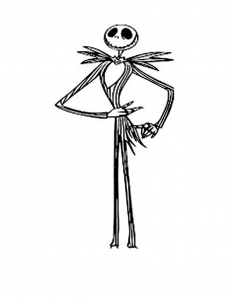 Here is Jack Skellington, King of Halloween Town.